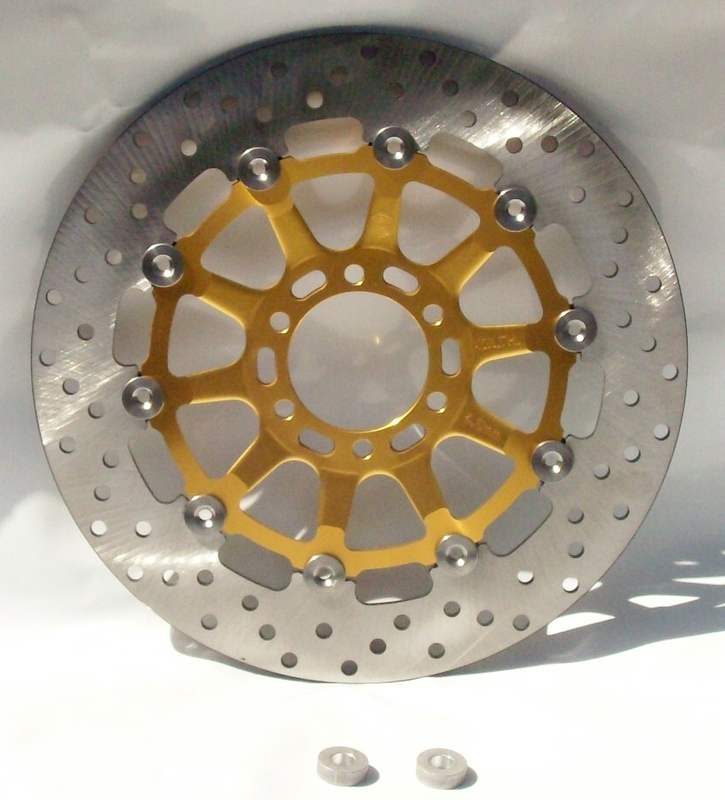 This premium lightweight Brembo rotor offers a superior Co-efficient Of Friction to Japanese SS rotors. Weighing only 3 lbs., 6 oz., it has a noticeable effect on handling. 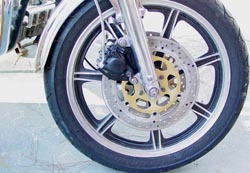 Combined with the modified Vesrah Sintered pads, a vast increase in stopping power is immediately noticeable, upon heat cycling. Kit includes longer caliper mounting bolts, precision-machined CNC spacers, modified kit pads, and the Brembo rotor, with classic aluminum carrier, SS buttons, 5mm thick blade with peripheral cooling groove, 11mm Brembo master cylinder, w/ brake switch and SS lines for a complete kit with modern feel. This EBC stainless steel rotor is made from a semi-hard German stainless steel. Weighing 2 lbs., 15 oz., it is the lightest available rotor. 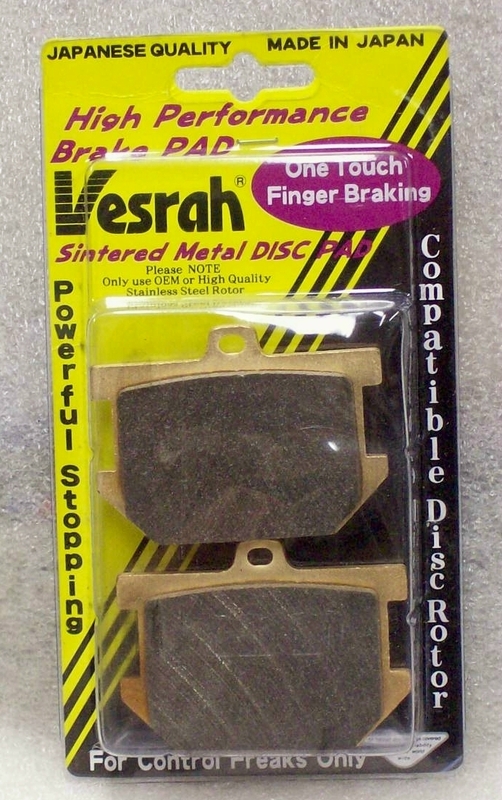 Combined with the Vesrah sintered pads, a large increase in stopping power is to be had, with the best feel available. Kit includes longer caliper mounting bolts, precision-machined CNC spacers, Vesrah sintered pads, and the EBC floating Contour rotor, with aluminum carrier, 5mm thick blade, 11mm Brembo master cylinder, w/ brake switch and SS lines w/ chrome banjo fittings for a complete kit with modern feel. This lightweight XS Performance stainless steel rotor weighs only 3 lbs., 7 oz., and has a noticeable effect on handling. 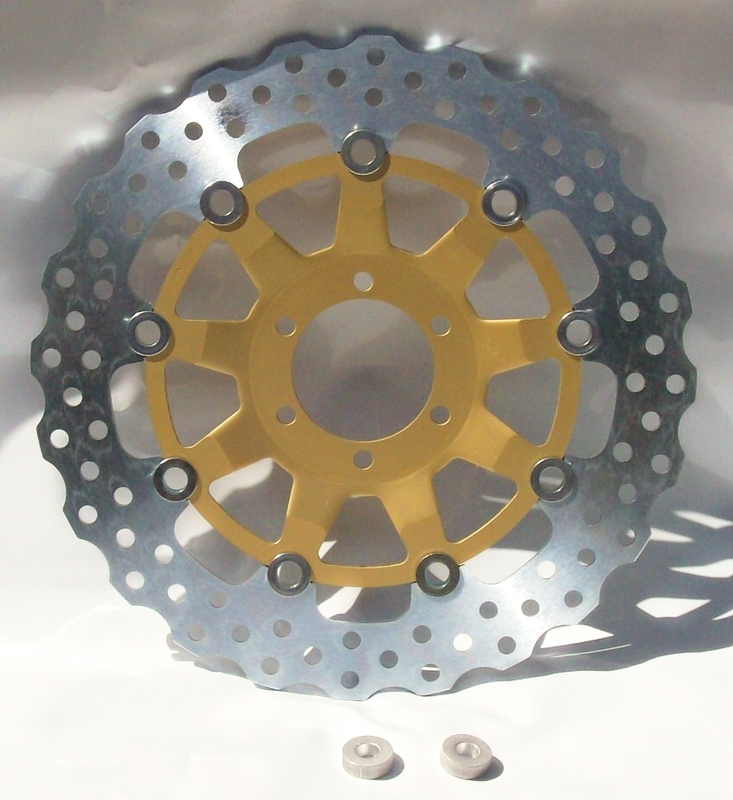 Combined with the Vesrah Sintered pads, a large increase in stopping power is available. 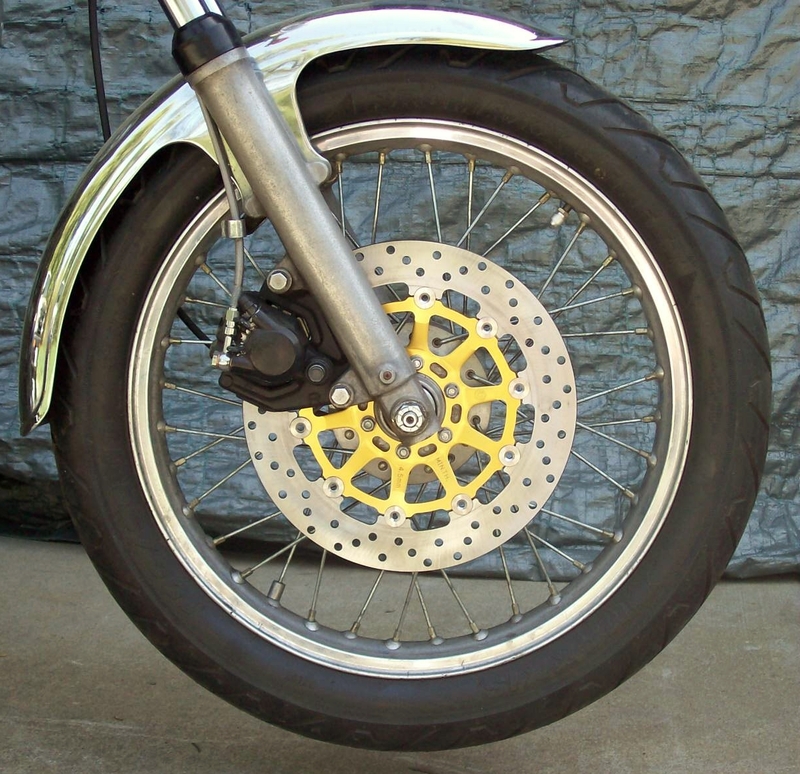 Kit includes longer caliper mounting bolts, CNC spacers, Sintered pads, and the XS Performance semi-floating rotor, with steel carrier, 4mm thick blade, 11mm master cylinder, w/ brake switch and SS lines w/ chrome banjo fittings for a complete kit with modern feel. This premium synthetic brake fluid exceeds DOT 3 and DOT 4 specifications. 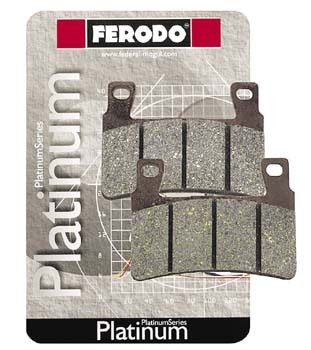 Low Moisture Activity (LMA) provides maximum protection against vapor lock brake failure. This newly-formulated fluid is particularly recommended for Lockheed and Girling applications. Minimum wet boiling point, 329ºF. 12 Fl. oz. Highest Co-efficient Of Friction of any road organic, best modulation. 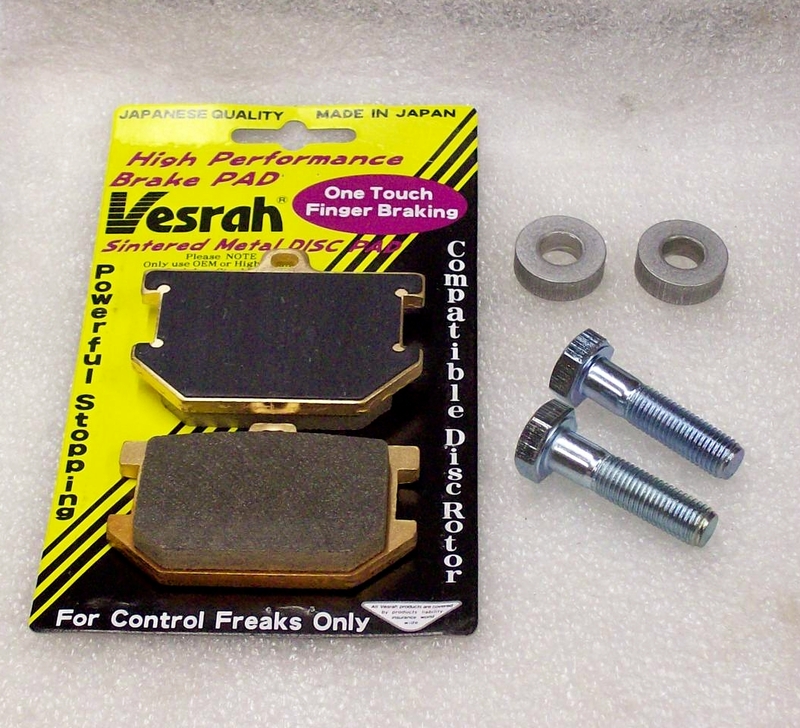 Vesrah Sintered pads offer increased initial bite, highest Co-efficient Of Friction, and long life, at the cost of slightly higher disc wear and more thermal loading on rotor and fluid, typical of modern bikes. Feel is good for a sintered. More potent than Platinums. 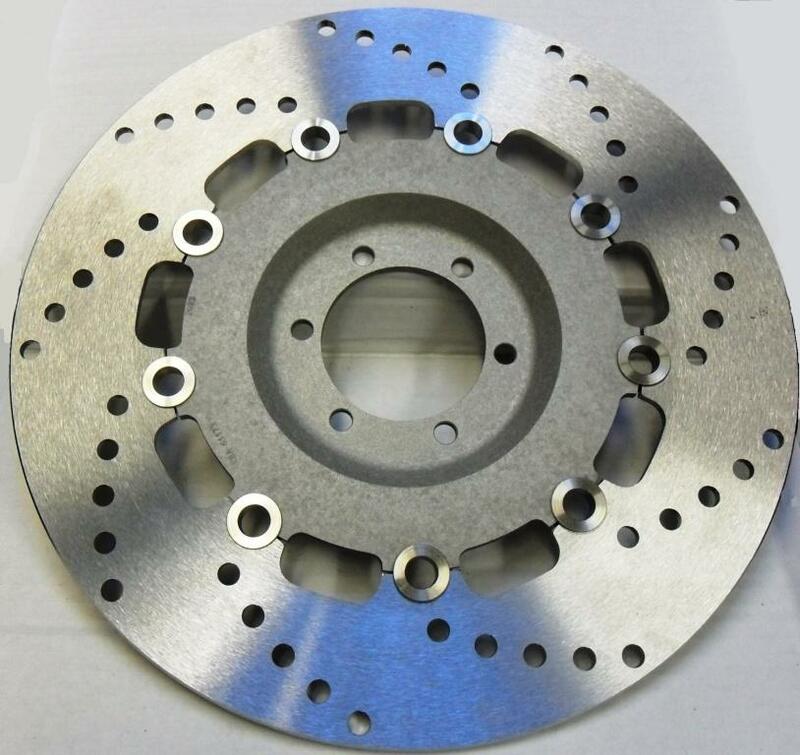 The single biggest performance improvement for stock brakes. "Iron back plate for Racing brake pad is used more strong material to make Katana (Japanese sword)"
1 or 2 piece, early or late--early should use stock solid line. Late single line starting at $48.85--Goodridge line w/ 2 chrome banjo fittings. Vesrah Semi-Metallic Pads consists of Aramid Fiber, Metals, Abrasives, Lubricants, mixed with Phenol Resin. Fits '70-71 front 2 LS drum. Made in Japan. Piston seal replacement kit for front or rear calipers. Fits '77-84 front and '78-79 rear. All the special seals and O-Rings you'll need to rebuild one front caliper. For front '72-76. Caliper uses 2. Sold each.